I spotted a Saarinen tulip table in this month's issue of House Beautiful and I haven't been able to get it out of my head. 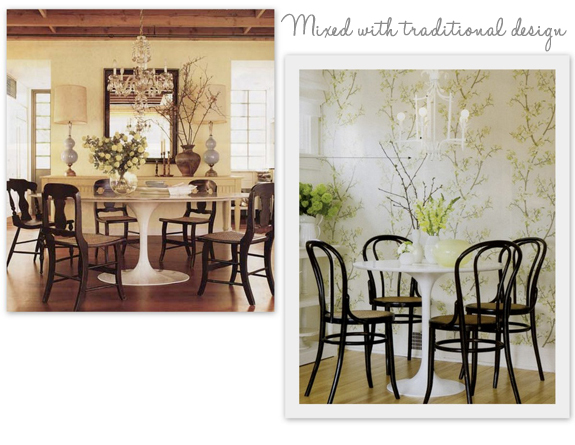 I have always been a fan of the table, when I get my kitchen nook some day I plan to have one. They seem to make great breakfast tables, don't they? I'm contemplating investing in a side table for our living room. My favorite combination is the white base with the rosewood top but I also love the carrera marble top and white base as a dining room table. I love that you can put this table in almost any design setting and it works - modern, traditional, eclectic. While there are many well made reproductions out there, I think this is one piece of furniture where I would invest in the real thing. It's such a beautiful piece of design history and it has really proven to be timeless. It can transcend tastes and trends and be passed down through generations. Are you a fan of the tulip table? 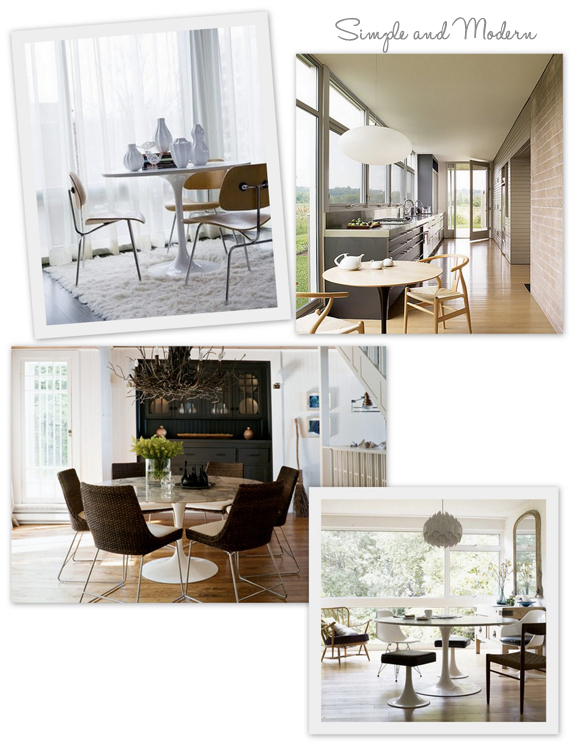 Do you have another favorite design classic that you have invested in or are contemplating investing in?